In Steubenville, Ohio, I experienced a truly memorable moment. It was in an ordinary school conference room, the kind of room where a principal might meet with a student’s family. On this particular day it was jammed with teachers and administrators from all over the district, crowded in to hear from the retired superintendent, Richard Ranallo. I had never met Ranallo. But I spoke to him on the phone back in 2008, when he was still superintendent, and wanted to meet him ever since. Back then I visited one of his schools, Wells Elementary, which at the time served a large number of both White and African American students from low-income families and was one of the highest performing schools in the state. (I wrote about it in HOW It’s Being Done, 2009). The then-principal Melinda Young told me how important district support had been to her school’s success. Not long after that 2008 trip, all three of the district’s schools — all serving low-income families — were all high performers. Like Young, the principals talked about the importance of district support and, specifically, the role Ranallo played in setting the conditions that let them be successful. Their enthusiasm for their superintendent and district intrigued me. For those who don’t hang around education much, let me let you in on a secret — principals rarely praise their superintendents in that kind of way. So, when I returned to Steubenville in 2013 I was eager to meet Ranallo and hear how he thought about school improvement. He had retired a while back and principals, assistant principals, and district administrators used the opportunity of my request to pack that little conference room. They missed him and wanted to hear his reflections as much as we did. In many ways he exemplifies Steubenville. His grandfather and father had worked in the steel mill that sat rusting by the river that borders the city. He had grown up downtown near the mill and next to one of the dance halls that Steubenville was famous for. Sitting in that conference room, Ranallo talked about Steubenville’s history and how the once moderately prosperous city has been devastated by the loss of manufacturing. This was familiar history to most of those sitting there. Most of them, like Ranallo, had fathers and grandfathers who worked in the mills. They, like Ranallo, had been lucky and had gone to college. After Ranallo came back from college he started teaching and moved up through the ranks of administration until he became superintendent. But he never forgot that it was an education that allowed him to have more opportunities than his father had had. He was proud of his father, whose job in the mill allowed him to buy a house and raise a family. But his father’s choices had been limited, and they had been limited in part by his school. The limiting role the school had for his father became clear to Ranallo when, as principal of Steubenville High School, he had the opportunity to look at his father’s permanent record. It was located, along with all the permanent records of all of the school’s students, on a card in a steel vault in the high school. Ranallo found his father’s permanent record, and he repeated the words it held to the assembled educators in that little conference room. Many of them had been hired by Ranallo, and they were all committed to the idea that schools must provide students who live in poverty with the knowledge and skills necessary to take advantage of opportunities that are open to children from wealthier families. The ethos of Steubenville’s schools is that they are there to change the course of poverty for their students. We all felt the judgment that had been placed on Ranallo’s father, closing off any hope of further education. It was a moment that demonstrated in a dramatic fashion what had driven Ranallo for all those years to try to open opportunities for his students. Because at least Ranallo’s father had a mill job to turn to. Today’s students of Steubenville have no such fallback, and the educators in the room know that puts an enormous responsibility on them to help students find new opportunities. That cramped moment of drama took place a few years ago. Since then Ranallo came back for a stint as superintendent and then turned the job over to former Wells principal Melinda Young. And recently Steubenville has been identified as one of the top-performing high-poverty districts in the country. If you look at just their third- and fourth-graders, they’re pretty much at the top of the country for any district. After that they tail off a bit. I would argue that the question most likely to result in improvement of a school is, "My kids didn't learn as much as your kids. What did you do?" This is what I have learned from more than a decade of studying "unexpected schools." That's what I call high-performing and rapidly improving schools with large populations of students of color and students who live in poverty—in other words, schools that are expected to be low performing but are not. But in order for that conversation between teachers to happen, a whole lot of stuff needs to be in place that isn't typically in traditionally organized schools. Stuff like frequent, common assessments. Without common assessments, teachers can't know how their students measure up against their colleagues' students and can't expose who has the expertise they need to learn from. When teachers can see that Ms. Smith's kids understand how to find the slope of a line, while theirs are still struggling to plot points, naturally they are going to want to know how Ms. Smith teaches graphing to her students. One third-grade teacher can't be teaching the narrative form through Charlotte's Web while the teacher next door is teaching the difference between poetry, drama, fable and parable and the next one down the hall is having kids underline Time for Kids. With such variety, the teachers can't see how their students are doing in comparison to their colleagues'. This is an emotionally and politically fraught topic because, traditionally, teachers have prized autonomy over their ability to learn from colleagues. But the fact is that no individual teacher will ever be able to know enough about what their students need to know, how to teach it, and their students' individual needs to be able to teach all things to all students every year. It is simply physically impossible. Traditional teacher autonomy inevitably means allowing some students to slip behind. It is only possible to teach all children what they need to know when teachers share their knowledge and expertise with each other—and sometimes look outside the school to district, state, or even national sources of expertise. And that means asking that key question—"What did you do to make your students more successful than mine?" There's something else that essential question requires, and that is a culture of trust. Observing that another teachers' students are doing better is seen in some schools as an admission of weakness rather than what it really is: a professional judgment that leads to collaboration and the spreading of expertise. When that question is scorned as demonstrating weakness, it will not be asked more than once. That is why study after study finds that school principals are the key to school improvement. It isn't that excellent principals make all the instructional decisions in their schools. It is that they organize their schools in such a way that the teachers in their schools make better and better instructional decisions over time. In 2005 the school was chaotic and low performing. Sergio Garcia became principal then, and today just about all students graduate and go on to post-secondary education. Plus, the school outperforms the state in achievement. "Improving Artesia wasn't rocket science. It wasn't that difficult," Garcia told me. Rather, he said, it was a matter of understanding the "deep need" teachers have to do their job well and building the systems to help them do it. If we are serious about school improvement, we might want to listen to Garcia and other leaders of "unexpected schools." They have hard-won expertise worth sharing. Reprinted with permission of FutureEd. Yet many pressures pull schools away from a coherent set of organizational practices that enable high achievement. The most significant one is the traditional way schools have been organized around isolated, individual, and autonomous practice. To overcome the institutional inertia that accompanies autonomous practice requires a deep belief that all students are capable of achievement and an equally deep belief that it is the responsibility of adults in a school to ensure that they do. This question of belief is key. I don’t think it is too much of a leap to say that teachers and other educators are more likely to think about how they need to change the way they work if they believe their students are capable of achieving. If they don’t believe it, they are more likely to simply keep going with what they’re doing. That doesn’t mean, by the way, that they’re not working hard. Most educators work hard. But if they don’t believe their students are capable of developing their abilities, they will be reluctant to go that extra distance to learn what more can be done and change what they are doing — and then keep changing in response to new students, new colleagues, new standards, new assessments, new content, new research, and new technologies in light of research and knowledge that has been developed by expert educators. I am not saying that educators should jump on every bandwagon or “innovate” simply for the sake of innovation. But they need to keep the end result — student achievement — in mind and continually think about what else can help to reach it, setting up systems, monitoring, and adjusting. This type of innovation is what I have seen in “unexpected schools,” which is what I call high-performing and rapidly improving schools that have large populations of students of color and students from low-income families. I suspect that if educators can make schools work for children from low-income families and children of color, then they can make them work for all children. After all, unexpected schools have all kinds of strikes against them: They often have shamefully scarce resources and the low prestige that comes from serving the students they serve. And yet they have marshaled the collective power of schools as institutions in ways that make them enormously successful. Educating all children is difficult work, and most schools don’t yet have the knowledge and expertise necessary. But that doesn’t mean the knowledge and expertise don’t exist. As Sergio Garcia says, “This isn’t rocket science. It’s doable.” He should know: He led Artesia High School — where most of the students come from low-income families and are Hispanic or African American — from being very low-performing 10 years ago to out-performing the state today. Just about all of his students graduate and go on to two- or four-year college. Garcia proves its doable. But it’s doable only if we pay great attention to what it takes to create and sustain these schools. And it’s doable only if educators believe their students are capable of achievement and are willing to do the systematic, thoughtful, creative, and occasionally tedious work necessary to provide it. To read more about how Artesia High School and other successful schools organize themselves around teaching and learning, see the just-published Schools That Succeed or any of the previous posts on unexpected schools. “I’m not sure there’s a system as bad as the Chicago system,” he said. Detroit and a few other cities were clear rivals, but to Bennett, Chicago—with its 43 percent dropout rate and dismal scores on the college entrance ACT test—beat them all. Thirty years later Chicago is nowhere near anyone’s list of “worst in the nation.” Detroit is. Chicago is in fact the large urban system that grows its kids the most anywhere, according to an analysis done by Sean Reardon at Stanford University and described in the New York Times last April. That is to say, Chicago students—who are well below average performance in third grade—improve through the grades so that they are more-or-less performing at national averages in eighth grade, according to Reardon’s analysis. At the same time, 75 percent of Chicago’s students graduate from high school, and their ACT scores have vastly improved. Attendance is up; suspensions are down. On pretty much every measure you can think of, the schools have improved not only for students overall but for every demographic subgroup. In fact, just about every group in Chicago performs comparably or above its counterpart in the state. Students from low-income families match students from low-income families in Illinois; African American students outperform African American students in Illinois. Chicago still isn’t anywhere near where it should be, but its improvement deserves to be recognized. This is especially true given the difficult circumstances in which the schools operate: Violence stalks the city; superintendents come and go, sometimes to prison; and the city suffers under one of the most inequitable funding systems in the country, meaning that Chicago’s schools receive much less money than their suburban counterparts. Yet still the schools rise. If we as a nation are serious about wanting to improve our schools, we should be studying how Chicago has made such progress. David Leonhardt’s piece (Want to fix schools? Go to the principal’s office, March 10, 2017) was a good start. He is absolutely right to pay attention to the fact that Chicago has worked to improve the recruitment, preparation, and support of principals. They have helped lift a city. But how did folks in Chicago know to push that particular lever so hard? That may have to do with the canny use of research. Chicago has perhaps the most sophisticated and knowledgeable researchers around, working to provide schools and the district with important information that helps guide action. The University of Illinois at Chicago’s Center for Urban Education Leadership has focused on providing Chicago with principals who understand how to improve schools. And the University of Chicago’s Consortium on School Research has directly provided school and district leaders with information about where their schools stand, what they can do to move forward, and what progress they have made in light of good research and evidence. Nowhere else have university professors and public school educators worked so closely and to such good effect. Other things to know about Chicago: Each school has a local school council of parents and community members; there has been a citywide, concerted effort to improve attendance and relationships within schools; substantial professional development has helped teachers improve their instruction; and key business partners have seen the improvement of the schools as key to the city’s viability and growth. Chicago is a big city with a lot going on. It may be impossible to capture everything important about a generation’s worth of work by educators, researchers, parents, advocate, and city leaders. But it is important to try so that we can understand what might work elsewhere. Certainly Chicago stands in stark contrast to Detroit, which has tragically deteriorated. Let’s just look at one measure: the results in both cities on the National Assessment of Educational Progress since 2009. Chicago has improved dramatically in fourth- and eighth-grade reading and math. Detroit has stagnated or declined on each of those measures. Chicago is proof of that. They can also get worse. For the past two weeks, I have been writing about a high-poverty high school that has improved tremendously over the last 12 years. Today, I report on one aspect of that improvement: the quality of instruction. When Sergio Garcia became principal of Artesia High School in Los Angeles County, the fact that it was summer gave him the opportunity to take advantage of one of the biggest levers of change available to a principal: creating the master schedule. So the first thing he did was put 1,300 students who had been scheduled for “basic math” into Algebra I. When returning math teachers found out, they assumed that Algebra I would be spread out over two years. No, Garcia told them. One year. He wanted his students to be able to go on to higher math. If they were to have any chance at all of going to college, they had to take the math classes that would get them there. “I can’t be at a school that perpetuates the idea that these kids will be poor the rest of their lives,” Garcia said, basically agreeing with the argument that unless students succeed in algebra their opportunities would be foreshortened. He put some of the students - those with lower math scores - into a second math support class, thus “double-blocking” them. But they were all in Algebra 1. “And they were mostly successful,” Garcia said. That is to say, test scores went up and failure rates went down. Stephanie Palutzke, a special education math teacher who arrived a couple of years into Garcia’s tenure and said she was shocked to find that she would be teaching Algebra I to students with disabilities. “I can’t teach a pre-algebra class?” she remembers asking Garcia. “Algebra is too hard for my students.” At other schools, she said, she had taught consumer math. Garcia told her no. Indeed, in 2015, 58 percent of the students with disabilities passed the math part of the high school graduation exam (CAHSEE) as 10th-graders. Students have multiple opportunities to repeat the exam, and 91 percent of Artesia’s students with disabilities graduated in 2014 — the latest year for which data is available. In California, only 62 percent of students with disabilities graduated that year. That first schedule change was only the beginning of a series of instructional changes, all of which were aimed at expanding opportunities for students. Artesia’s “secret weapon” in improving instruction, Garcia said, is Dennis Parker, who was once an official with the California Department of Education and now consults with schools around the state. He had consulted at each of Garcia’s previous schools, and Garcia also brought him to Artesia. Parker observes classrooms and leads workshops for teachers to help them improve instruction, always urging them to ensure that they are providing the “maximum number of interactions per minute with complex knowledge” in order to create the “aha” moments that lead to new learning. Parker’s basic improvement strategy is that at the classroom and school levels, clear targets need to be set, clear feedback mechanisms need to be in place, and teacher know-how needs to be developed. When those things are all working together in ways that take into account the individual classroom and school context, they spiral together to keep improvement going, Parker says. “Educators are less likely to oppose this kind of change, as it is helping them learn to be more effective with their students, not mandating them to follow a new regimen,” is Parker’s view. He helps teachers set ambitious academic targets for their students and develop careful feedback mechanisms. 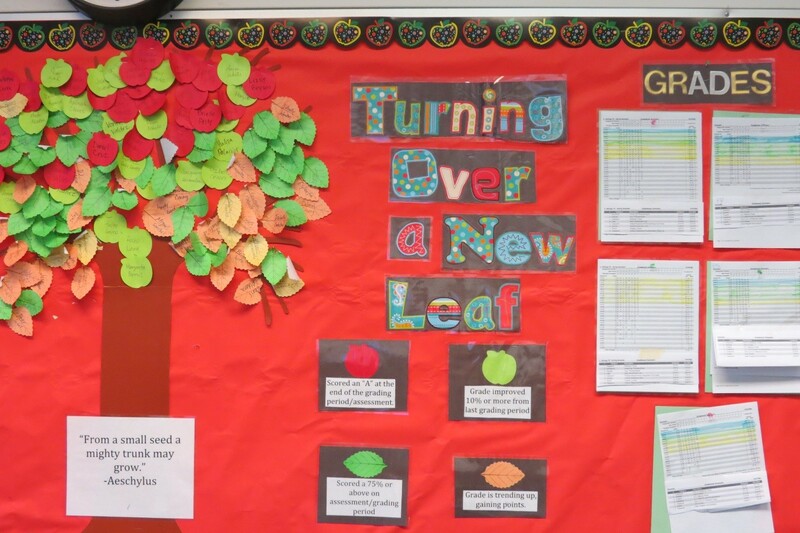 Every classroom at Artesia has a data wall where students chart their progress on quizzes, tests, and assignments, and a space on that wall for students to add their names to those of others who are either scoring high or who have improved their performance. By having those two criteria, the school is providing “safety in numbers,” Parker says, and building success into the culture. Questions do arise, especially because the school has added many Advanced Placement classes and has enrolled many students who would not necessarily be considered prepared. “We’re putting kids in there who are not ‘AP kids,’” said Cecilia Hawn, chair of the mathematics department. “We believe our kids can do whatever other kids can do,” added Felicia Godinez, chair of the social studies department. That doesn’t mean they don’t recognize the needs of their students. “We have a two-week AP camp in the summer to get them ready for the higher expectations; kids know they’re at a huge disadvantage if they don’t attend,” Hawn said. Scheduling, new courses, and data walls are hardly the sum and total of the improvements in instruction at Artesia, but they were integral to building the systems that allowed teachers to work together. Garcia said that even when he arrived in what was then a low-performing school, he could see there was good teaching; it was a matter of ensuring that teachers worked together rather than in isolation to make sure that students experienced success. These were the metrics for Artesia High School in Los Angeles County. Looking at the numbers, I wondered if the school had always been high-achieving. So I looked for the school’s Academic Performance Index, or API, a measure that California used until 2013 to measure the academic performance and growth of schools. Anything under 600 was considered very low performing; 800 was considered meeting state standards. In 2004 Artesia High School’s API was 577, which meant there wasn’t a lot of learning going on there. In 2013 the school’s API was 777, a score comparable to those of much wealthier schools in the state. That improvement — 200 points in eight years — represents a remarkable growth trajectory, particularly for a school where so many students come from low-income families, and where almost 40 percent of students do not have English as their first language. I called the school’s principal, Sergio Garcia, and asked what improvements the school had made to achieve such gains. “You have no idea the smile on my face,” he said, happy that someone had noticed the school’s improvement. He took the job as principal almost 12 years ago, mostly because he wanted to work close to home while his kids were still young. He thought that cutting down on his commute would make his life easier. He was wrong. Talking to Garcia made me realize there was a rich story to be told about Artesia, so I traveled to Los Angeles to see it for myself. I saw a calm, orderly school where students were debating climate change, writing about To Kill a Mockingbird, conducting forensic investigations, and calculating the force needed to push a piano up a ramp. In other words, I saw students learning — and teachers teaching — all within a culture of respect. The two descriptions of the school I heard most from students were “fun” and “safe,” and I couldn’t find a student who didn’t plan to go to college. In fact, the goal is for 100 percent of students to at least apply to college — and the school was very close to meeting that goal when I was there. For the next couple of weeks, I’ll be reporting on different aspects of Artesia’s improvement. Like any story of school improvement, Artesia’s is complex and idiosyncratic. But it still holds lessons for other schools. For now, though, let me just say why I was looking at Artesia’s numbers to begin with. Artesia is part of the ABC Unified School District, a combination of three smaller districts in Los Angeles County not far from Compton. It is mostly a white, moderately wealthy suburban district, but it has a small number of schools where most of the students qualify for free or reduced-price meals, and where most students are of color. In 2013, my colleagues at Ed Trust-West identified ABC Unified as the second-top district in improvement for low-income students, which piqued my interest. This spring I looked at how the district had performed on the new Smarter Balanced assessments, given for the first time in spring 2015. ABC Unified District performed better than the state as a whole, but, more interesting to me, Hispanic students, African American students, and students from low-income families performed much better than their counterparts in the state. That led me to look deeper at individual schools, and that’s when Artesia’s data, which really stood out, caught my attention. It is a high-poverty school that performed as well or better than the state in both reading and math, which led me to search for those numbers that I started this column with. I realized that it was a story worth telling. She established my outsider status her first day of nursery school, when I went to pick her up. Excited to hear about everything she had done, I asked her how her day went. Her response: “None of your business,” or something to that effect. I remember being shocked — and sad — at being blocked from the little dramas and excitements of her life. But then I realized that she was carving out an independent existence for herself. That was the first day I realized that I wouldn’t always know what was going on with her and her schooling. I could meet with teachers, I could even volunteer in classrooms, but my children were separate people with their own lives. Good for them, I think, now that they’re grown and have, indeed, carved out separate lives. On the other hand, I was aware that parents are supposed to know how their kids are doing in school. And over time I learned that report cards and teacher conferences can only tell you so much. Mostly, they told me that my kids turned in their homework and were compliant with the rules. They really didn’t tell me if my kids were mastering the knowledge and skills they should be mastering. I should say that back then I was pretty clueless about when kids should be writing the alphabet, when they should know their multiplication tables, and when they should be able to write an essay about a Supreme Court decision. I trusted that the teachers would know all that stuff. But as my kids got older — and I got savvier — I realized that they weren’t always learning what they should be learning, and that I needed to keep on top of that. Looking back, I wish I had been more on top of it earlier. For example, I now realize that my district’s curriculum had major holes. It included hardly any geography and had very little emphasis on measurement (gallons, quarts, liters, miles, yards, kilometers, etc. ), to name just two of many topics that were missing. That is not to say those were my daughter’s only experiences — she had positive ones as well. But I realized over time that if a class didn’t have some kind of common assessment at the end of it — either a district, state, or national assessment — whether teachers would actually teach what the students should be learning was a bit of a crap shoot. If there was an assessment at the end of the class, I knew that the teachers would at least try and teach the knowledge and skills that would be assessed. Maybe this shouldn’t be. Maybe all teachers should be teaching everything students need to know, and students should be learning simply out of the sheer joy of it, without reference to any kind of outside assessment. But in the real world of being a parent, I found it really useful to know how my children did on an assessment that other students in the district, state, or country were also taking. That is why I am a little puzzled by the “opt out” movement, which in some states showed surprising strength last year. Parents, saying they didn’t want their children taking state tests, demanded that they be excused from taking them. I hope they rethink that position this year. In this column, I usually talk about how important common assessments are in providing information to teachers and principals to improve instruction. That is why I think it is important for all kids in a school to take common — or standardized — assessments. But those assessments are also important to let parents know whether their kids are on track so that they can get them any help they may need and ask the school informed questions about curriculum and instruction. If, for example, a third-grade student scores below standard in reading, that is a signal to parents to ask the teacher what additional help he or she is arranging. If all the students in a school do badly on a common algebra assessment, this suggests parents may need to ask what the school is doing to help the teachers deepen their knowledge and improve their instructional skills. The thing to remember is that these are not intelligence tests. They merely provide a signal that can help parents and teachers know whether children need additional help or enrichment, and in what areas the knowledge and skills of the teachers need to be ramped up. Not that any test is a final arbiter of anything. Kids have good days and bad days, and on any given day a kid can perform well or badly on a test — which is why an assessment is just one of many markers of what kids are learning. Similarly, not every question on a test is well-worded or a good indicator of mastery — which is why I believe that all assessment questions should be released to teachers, students, and parents, so they can evaluate their value. But even with all the vagaries of kid moods and test questions that are not released, assessment results still provide important information. And most parents need all the information they can get — even if their children are more forthcoming than mine were. I recently learned that my work has been used as justification by school officials who advocate deliberately concentrating poverty in a few schools. The high-performing, high-poverty schools I write about hold many lessons, but none of them is that we should deliberately create more high-poverty schools. First, the context. In suburban Northern Virginia’s Loudoun County, which not long ago was largely rural farmland and today is suburban sprawl, school enrollments continually grow as apartment buildings and housing developments fill up with families. What that means, as anyone who has lived in a rapidly growing area knows, is that school boundaries have to change fairly often. A few years ago Loudoun County drew school boundaries in such a way that the children of low-income families — many of them Hispanic — living in a few apartment complexes were dispersed into a few different schools up to three miles away from their homes. Enrollments have kept growing and the Loudoun County School Board has to readjust the borders again. As someone who has lived through a couple of them, I can attest that boundary adjustments are hard on communities. Kids develop friendships and bonds with teachers. They feel comfortable in their routines, and change can be difficult. Same thing for the parents and teachers, who develop relationships with fellow parents and colleagues. So let us just stipulate that there are no really good solutions, and school boards and administrators are often faced with very difficult decisions when having to redraw school boundaries. But let us also understand that it is in these seemingly small, difficult decisions that we demonstrate what kind of people we are and what kind of people we want to be. The Loudoun County School Board is considering a few different plans. Some would just readjust to simply balance out the numbers with space in schools. But one, Plan 12, has the explicit purpose of bringing the children living in the apartment houses back into two neighborhood schools in order to concentrate students from low-income families. That a couple of Loudoun County’s Title I schools (with significant concentrations of students from low-income homes) are doing pretty well. Those are the words of an assistant superintendent in support of the idea of re-drawing the boundaries in such a way that half or more of the students would be from low-income families, most of them Hispanic. I looked at the report card of one of Loudoun County’s Title I schools, Sterling Elementary, and it does seem to be doing pretty well, more or less matching the state’s performance (though not matching the county’s performance). And it is true that I have spent the last decade of my life documenting that schools with large concentrations of students of color and students from low-income families can achieve at high levels. I have written two books, co-written a third, and written many columns with evidence from actual schools. But the idea that any high-poverty school is doing well because it has a high concentration of children from low-income families is a big leap of logic. In fact, the educators in the schools I have written about would scoff at the idea that educating all students in a high-poverty school is somehow easier or inherently more efficient. They are successful, I would argue, because the educators in them have figured out how to operate at a much higher level than most schools operate. They are more thoughtful, more deliberate, and more efficient in lots of ways, from the way they build their master schedules to the way they structure their professional development. They are driven to do things differently because they believe their students are capable of excellence and deserve the opportunity to prove they are. But these high-performing, high-poverty schools are called outliers because they are so rare. Far more typical is the high-poverty school that regularly meets the low expectations that are often held for them. That’s why I would advise educators and school board members in Loudoun County to go visit Sterling Elementary — and other high-poverty schools that are doing well — to see what lessons they might hold in terms of improving instruction. I suspect that they will find what I have — that almost any technique or strategy used by these schools can be implemented in all schools to improve the academic and social success of all students. But no school board member should ignore the huge body of research that demonstrates that, on average, children from low-income families benefit from being in mostly middle-class schools — which is mostly what Loudoun County has. In fact, all kids benefit from integration — both economic and ethnic — in lots of ways, from academic achievement to developing social confidence in a variety of settings. So let us learn best practices from those educators who effectively serve students living in poverty. But let’s not use their success to defend “separate but equal” schools. I saw the effect of a little of his work later that day, when a young woman in her 20s came to talk with a group of ninth-graders who the school considers "at risk." She said she had been one of those hallway roamers  and fighters  in her freshman year. Her family then moved several times, and she never did graduate from high school, but she has recently enrolled in classes at Nassau Community College and is determined to become a teacher. "All those years I had a little voice in my head telling me I could do it and I should get an education." As it turned out, he was a new student and had arrived pretty out of control. "It takes us about three weeks," she said. "But he's straightening out." She said that he was starting to understand that the adults in his school care about him and want him to succeed. By the way, that doesn't mean the educators are blind to serious mental illness  the school's need qualified it for Mobile Mental Health to provide a therapist three days a week. In addition a psychiatrist is on campus once a week. Educators in high-performing high-poverty schools have often told me that "there are no short cuts." And one of the things they mean is that there is no way to convince kids that you believe in them  unless you really do. At the same time, the number of students taking at least one Advanced Placement (AP) exam has grown to 142 in 2015 — impressive in a school that only has about 500 students. And 66 percent of them pass, a much higher percentage than many schools and meaningful in a school that works to include students in AP classes rather than exclude them. Speaking from experience, Romano said that Brescia spends "thousands of hours on the schedule — he basically hand schedules every student." Any high school student or parent will recognize that as going — as the teachers put it — "above and beyond."